TOLDJA! Cathy Mohlahlana and Thulasizwe Simelane both quit eNCA as the news channel's latest high-level on-air defections. eNCA (DStv 403) confirmed to TVwithThinus on late Thursday afternoon two resignations: That the eNCA anchor Cathy Mohlahlana has quit after her recent demotion from prime time back to an afternoon timeslot, and that reporter and anchor Thulasizwe Simelane is leaving. Their last day at eNCA will be on 29 March, just a month and a week before South Africans vote in another general election. Insiders told TVwithThinus days ago that both Cathy Mohlahlana and Thulasizwe Simelane decided to quit the eMedia Investments' news channel carried on MultiChoice's DStv satellite pay-TV platform. eNCA, in response to a media enquiry asking for confirmation earlier this week about word that both high-caliber on-air personalities decided to resign and leave, didn't answer when asked why Cathy Mohlahlana is leaving and why Thulasizwe Simelane is leaving. Speaking about the latest high-level defections from eNCA, Jeremy Maggs, acting eNCA editor, says in a statement to TVwithThinus that "Both Cathy and Thulasizwe have proved in the field and behind the anchor desk to be valuable and respected staff members. They have brought integrity to their work. We are going to miss their empathetic and incisive style of journalism". Cathy Mohlahlana last month took over anchoring duties of the eNCA Now timeslot between 13:00 and 15:00 after she was promoted to being a co-anchor on eNCA's flagship prime time show NewsNight where she served for a year and 8 months until she was bumped back to dayside on the eNCA schedule in January 2019. Cathy Mohlahlana says in a statement that "in the past 8 years at eNCA I have had the opportunity to learn and grow while working with some of the best in television news and I'll forever be grateful. Thank you to the eNCA audience which embraced me from being a reporter to an anchor". eNCA made the experienced political reporter Thulasizwe Simelane an afternoon anchor in May 2018. Thulasizwe Simelane in a statement says "eNCA has been and will always remain my home, a place that shaped and moulded me, and gave me tremendous growth opportunities over the past 6 years. I will miss my colleagues but am confident they've deposited enough of the 'e-DNA' in me to carry me to great heights in my next venture". South Africa's TV and film biz laughs over up to R5566 to stay over for the 13th Saftas, as organisers fail to talk to producers over their growing award show boycott. Nominees, producers and on-screen talent are laughing at the NFVF and the 13th South African Film and Television Awards (Saftas) who want them to pay a "discount" price of between R3810 and R5566 to stay at Sun City for one night in order to attend the far-flung awards ceremony. Meanwhile Safta organisers admit that they've done nothing the past year to specifically reach out to upset producers and have meetings, listening or mediation sessions, while a growing number of production companies are boycotting the awards they want nothing to do with. The 13th Saftas - again criticised by South Africa's TV industry and with even more producers boycotting the awards - made special "discount" rates available at Sun City for people to stay over on 2 March. Organised and held by the National Film and Video Foundation (NFVF) that is funded by the department of arts and culture, the 13th Saftas ceremony will be produced by Clive Morris Productions this year and broadcast on Saturday, 2 March on SABC2. While South Africa's TV and film industry is going through a recession with multiple production companies struggling in an industry that has shed hundreds of jobs especially over the past year, guests, producers and nominees wanting to attend the far-away 13th Saftas at Sun City, as well as media wanting to cover it, have to pay for their travel and accommodation, with the "discount code" price ranging from an eye-watering R3810 for a twin room single in the Cascades hotel, to R5566 for a luxury twin room double in The Palace hotel. "I laughed when I received the notification that came after the invite," says actress-presenter-producer Rosie Motene. Producers who don't want to speak publicly, said the past two weeks that they want to try and get their nominated talent to attend but complained privately that there wasn't enough time, that they don't understand how certain shows and people are nominated in certain categories where they don't seem to belong, don't know which categories will form part of the "technical awards" and which will be in the "main awards", and are struggling to get details from the Saftas organisers to try and make plans to attend. Besides driving there and back late at night if not able to stay over, tickets to attend the actual 13th Saftas awards ceremony are being sold through Computicket costing R300, giving the public a chance to attend for the first time. Previously held over 2-nights, the untelevised technical awards evening - annually marred by embarrassing technical faults and problems similar to the main televised show - has this year been moved to the same day and will happen on this Saturday morning from 11:00 to 13:00. The so-called "performance awards will take place at 20:00 with hosts Pearl Modiadie and Thomas Msengana, with the broadcast starting at 19:00 on Saturday evening covering the red carpet arrivals and interviews, and the awards ceremony starting from 20:00. Even more production companies and producers are boycotting the NFVF's Saftas this year than in the past who among them are making the biggest and most watched shows on South African television with a combined audience of millions of viewers. Their growing Saftas boycott comes as unhappiness with the local South African film and TV award ceremony keeps growing and will again make the Saftas winners for 2019 not truly legitimate and reflective of the totality of the local TV industry's body of work. Generations on SABC1 produced by Mfundi Vundla's Morula Pictures, Muvhango on SABC2 produced by Duma Ndlovu's Word of Mouth Productions, and 7de Laan on SABC2 produced by Danie Odendaal Productions all deliberately snubbed the Saftas and refused to enter. Also missing-in-action are all of the shows from Ferguson Films like The Queen and The Throne on M-Net's Mzansi Magic (DStv 161), including the eligible first season of The Imposter. As a result, viewers are not able to vote for any of these shows who are excluded by the NFVF and Saftas organisers and judges from the viewers vote in the Most Popular Soap/Telenovela category. Previously the producers of several production companies have had concerns around the Saftas secrecy and lack of transparency and inclusivity, the process and judging process, other issues that they said are not being addressed and getting resolved, and even called the Saftas "not fair". This year none of them wanted to comment. Asked for comment from the Saftas organisers on the growing boycott and producers who refuse to enter the awards, Neo Moretlwe, NFVF communication coordinator, told TVwithThinus on Wednesday that " as of yet, none of the stated producers has engaged us on this matter". "We value their work and their contribution to the industry and as such, are ready and available to meet and discuss their concerns". Asked what the NFVF and Saftas organisers have done since last year when producers also as in previous years refused to enter, Neo Moretlwe said that in the past the main issue related specifically to the Saftas adjudication process. "The NFVF, along with the Safta committee, have responded to the stated concerns and worked tirelessly in revising these guidelines over the years." "There has also been a dedicated focus on ensuring that the production companies - who are ultimately responsible for submitting television shows and performers for consideration, understand the overall processes." "To improve compliance the call for entries was sent directly to the industry as well as broadcast across all our social media platforms, posted on the NFVF website and distributed to all media houses". "All submissions go through an intense judging process made up out of more than 200 industry experts across South Africa following which, final tallies are audited by a reputable audit firm before the winner announcements are made," said Neo Moretlwe. Meanwhile, media have been complaining about the lack of timeous information from the Saftas in the way that American press are kept in the loop with the Oscars and Emmys award shows regarding things like press attendance and the media room, media accreditation, what is happening with the red carpet and who deals with media and press enquiries. While covering the awards ceremony is presumably important for both the NFVF to showcase the industry it is supposed to help, as well as for the media, due to the distance and late night ending, many media houses and outlets can't or are unwilling to send journalists to cover the Saftas. This year there has again also been a huge lack of Safta awards build-up coverage in the media, a lack of profile and other interviews with the nominees, and basically no in-depth coverage of the various stars and producers due to a lack of awards show public relations. A PR agency was only appointed extremely recently, with the NFVF and Saftas losing out on coverage and pre-show buzz that is an integral ingredient of any award show ecosystem. Asked if the Saftas is hosting press this year, Neo Moretlwe says "unfortunately, due to budget constraints, the NFVF is unable to accommodate media this year. Some of the event sponsors have taken the liberty to invite media directly at their own cost." With most media clueless as to who deals with the Saftas and asked if there is PR agency, Neo Moretlwe says "the NFVF has recently appointed Instinctif Partners as its PR agency". ALSO READ: TV CRITIC'S NOTEBOOK. A dream that remains a nightmare: Here's why the NFVF's 13th South African Film and Television Awards of 2019 once again looks like it's going to be a mess. ALSO READ: Growing number of shows snub the Saftas as producers' unhappiness with the industry's South African TV and film awards grow. Like a recycled Pick n Pay packet former SABC CEO quitter, Lulama Mokhobo suddenly pops up as one of 24 shortlisted candidates for SABC board vacancies. Like one of the recycled Pick n Pay packets - the new blue ones - the former SABC CEO quitter, Lulama Mokhobo has popped up as one of the 24 shortlisted candidates for the 8 vacant SABC board seats. Lulama Mokhobo who quit as SABC CEO barely two years after she was appointed in 2012 because she couldn't cope with the famously matricless Hlaudi Motsoeneng, now wants to be on the SABC board at a time where the crumbling South African public broadcaster is facing even bigger and more severe problems that when she had an Auckland Park corner office. 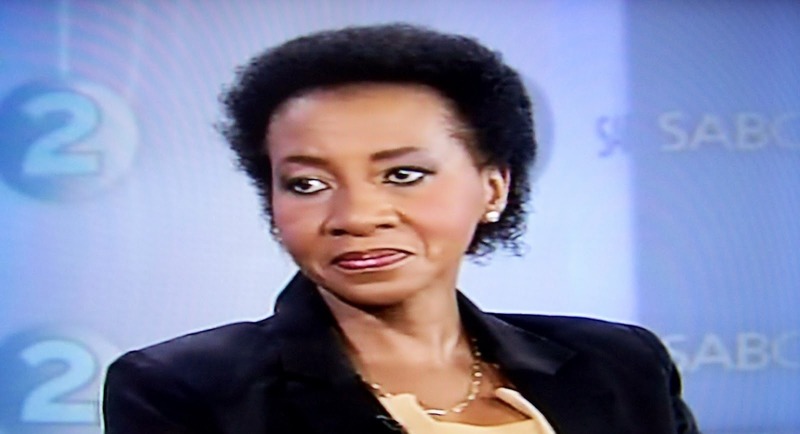 When Lulama Mokhobo quit as SABC CEO in February 2014, it was the second time she went away from the SABC. Now Lulama Mokhobo is back for a third try, wanting to be involved with the SABC hovering on the edge of a financial cliff, when she'd left before when the going gets tough. On Thursday, following criticism for not doing what it promised the public and the TV industry, parliament's portfolio committee on communications finally released the shortlisted 24 names who will be interviewed to fill the 8 empty seats on the unstable and inquorate SABC board. Another candidate, Mary Papayya, is a former journalist and executive member of the South African National Editors' Forum (Sanef). Itani Tsiesi is die SABC's former group executive for risk and governance. In 2016 during parliament's inquiry into the SABC, he explained how disastrous the tenures of the former SABC chairpersons Mbulaheni Maguvhe, Ellen Tshabalala and Ben Ngubane were. Gift Buthelezi is a former director general at the department of telecommunications and postal Services. In 2017 Gift Buthelezi was involved in a legal fight with the then-minister of telecommunications Siyabonga Cwele for allegedly spending R4.3 million to organise an international conference in the Eastern Cape in 2012 but the lawsuit was later withdrawn. Mmabatho Ramagoshi is a former provincial general manager of the SABC in Gauteng as was a former chariperson of the National Film and Video Foundation (NFVF). Mfanozwele Shozi was part of a SABC commission looking into allegations of sexual harassment at the South African public broadcaster that found that SABC management ignored complaints of harassment and deliberately conspired to protect perpetrators and predators. The names of the shortlisted candidates will be published on parliament's website and interviews are set to be conducted from 5 to 7 March. Cell C's Cell C black video streaming service gobbles up another R524 million for another year in TV channels and content licensing costs. Cell C's subscription video streaming service, Cell C black, has gobbled up a whopping R523.9 million as Cell C spent big in licensing and distribution right costs to buy and maintain TV channels and content. Cell C's financial report for the year ending 31 December 2018 published on shareholder Blue Label Telecoms' website, reveals that the SVOD service that carries both a collection of linear TV channels as well as a trove of on-demand series and films, splashed R523.9 million as part of "contractual obligations for programme and film rights, acquired for the period between 3-to-5 years", contributing to Cell C's total loss of R1.27 billion. Cell C black is swimming in increasingly shark infested video streaming services water where Showmax and DStv Now from the just-listed The MultiChoice Group, Netflix South Africa, Amazon Prime Video, along with a litany of other services like Acorn TV, TV2GO, and even PCCW Media giving it a second try with Viu. The R523 million is slightly less than the R528.3 that Cell C spent on Cell C black content licensing in the 2018 financial year. e.tv drops its midday eNews bulletin at 1pm from March and replacing it with a new simulcast bulletin from Open News that will start earlier with local news at 4pm. e.tv is dropping its midday eNews bulletin at 13:00 on weekdays and will be replacing it from Monday 4 March with a new simulcast bulletin from its Open News channel op Openview that will be added for that channel and also be shown on e.tv. At the same time Open News will start its daily local news coverage from an hour earlier, now starting at 16:00 instead of 17:00 when it launched a few months ago. "Open News has been viewer-driven from the onset. We have always told our audience that their views make our news. They asked us to start broadcasting earlier, and we are happy to oblige," says Nisa Allie, managing director of Open News. "We're also taking this opportunity to tweak our line-up and introduce new features, to ensure that we are on the pulse of what our viewers really want, in terms of news and current affairs." Open News is starting a localised 13:00 TV news bulletin on Openview on channel 120 from Monday. This localised bulletin will replace eNews on e.tv in the 13:00 timeslot and will provide a marketing opportunity for the eMedia Investments channel to have its content offering sampled by a wider audience. "We're looking forward to welcoming Open News to e.tv's daytime schedule," says Marlon Davids, managing director of e.tv channels. "Open News's fast-paced, interactive take on what is happening locally and around the world is exactly what our viewers are looking for when it comes to lunchtime news." Open News will now broadcast live local news for four and a half hours each day. During the rest of the day, the station has partnered with international television news channels, TRT World, CGTN and France 24 to bring viewers news and analysis from around the world. After criticism parliament's communications portfolio committee backs down and will now shortlist 24 candidates for vacancies on the SABC board on Thursday. Following criticism for wanting to first suddenly do "exit interviews" - after months of waiting - with former SABC board members before proceeding with the process to shortlist 24 and appoint 8 new SABC board members to fill urgent vacancies, parliament's portfolio committee on communications did a turn-around of its Tuesday decision and will now shortlist candidates on Thursday. On Wednesday parliament's apparently incompetent and lazy portfolio committee on communications had a change of heart since it's decision on Tuesday to further delay the process, and said that instead of doing "exit interviews" it will now shortlist 24 candidates on Thursday. On Tuesday parliament's portfolio committee shocked South Africa and its broadcasting industry after it said on Monday that it would list 24 candidates out of the 400 who applied but then ended up breaking its promise and not doing so. On Wednesday the committee led by chairperson Hlengiwe Mkhize, suddenly said that "changes to parliament’s schedule means the committee would no longer conduct exit interviews with those who resigned from the current board". It said that the names of the shortlisted candidates would be published on parliament's website and that the interviews would be conducted from 5 to 7 March. 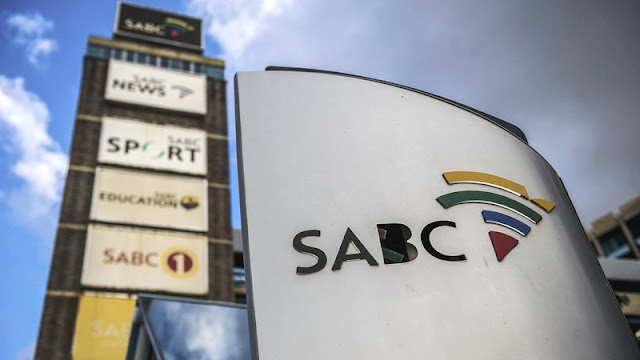 The unstable SABC board is currently inquorate, South Africa is in a national election year with the election day and run-up to 8 May that the SABC and SABC News must cover - and with the public broadcaster once again hovering on the edge of a financial cliff. Urgent intervention to try and right-size the SABC is very long overdue. Parliament's apparently lazy portfolio committee on communications has been criticised for having taken months to start the process to sift and begin interviews with shortlisted candidates for the positions. Parliament's portfolio committee on communications lied, saying it would return in early-2019, and then lied again to the South African public saying it would start the process of interviews in mid-January. Neither happened. Parliament's current term ends on 20 March. TV CRITIC'S NOTEBOOK. 'Yes, we can!' 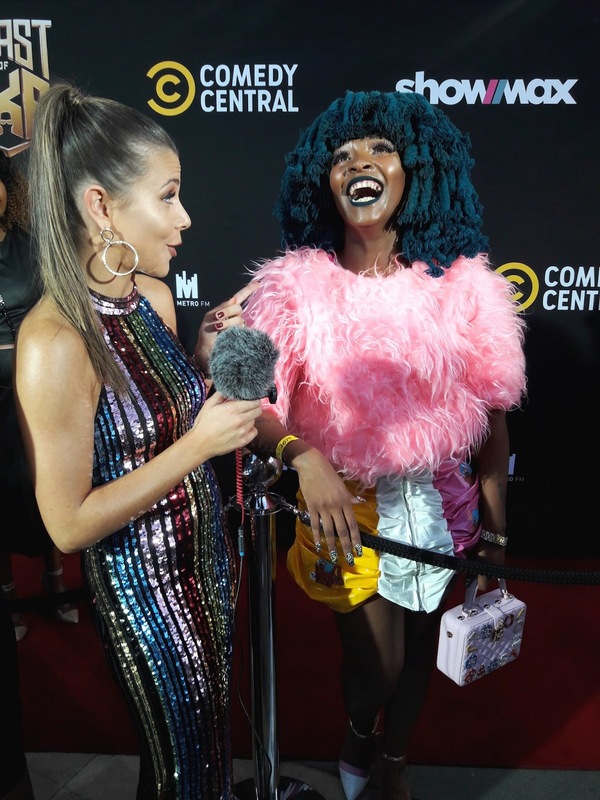 Viacom Africa's well-organised, well-managed Comedy Central red carpet run shows that South Africa can get it right with proper pre-planning and know-how. It was stress-free. In fact, it was ... a joy. Something within the South African entertainment industry that is almost always fraught with so much peril, filled with frustration and that causes a lot of rarely seen behind-the-scenes anger, resentment, miscommunication, shouting, lost opportunities and irritation, on Thursday evening was suddenly a breezy-brilliant, calm-and-collected affair last week. 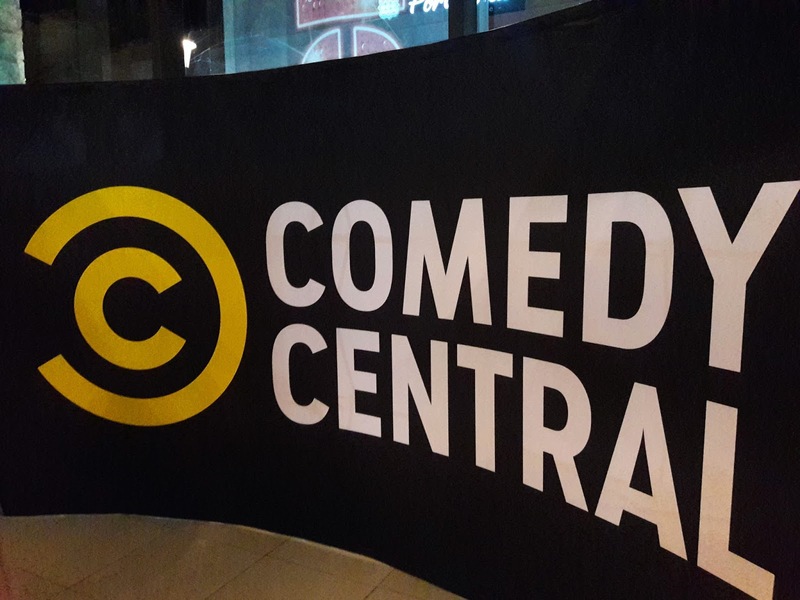 On Thursday evening Viacom Africa and PR company Total Exposure's red carpet event for the recording of Comedy Central's (DStv 122) Comedy Central Roast of AKA at the Teatro at Montecasino in Johannesburg was basically textbook perfect, very American standard, and breathtakingly ... normal. Of course using the word "normal" when it comes to organising and doing the red carpet in South Africa means that it was actually borderline brilliant since the sad truth remains that doing a red carpet right doesn't really happen in South Africa in a myopic industry that doesn't know how to do it properly and that cares even less about researching, studying, prepping and putting adequate resources in place to execute it correctly. Thursday evening's Showmax and Comedy Central Roast of AKA red carpet run functioned like a well-oiled machine. Usually so stressful because like watching a silent movie nobody really knows what's going on and must make their own assumptions and then start to rush in wild-panic group think, everyone on Thursday evening - although standing on their own pages - were on the same page. There were no little ones trampled and swept away by a cestpool media crush, no wails of despair, things climbing over each other desperate to get to the front of the rope line, crying (and I've seen crying), journalists in cages, shoving, pushing, hogging, or utter madness. Everyone got what they needed. And I mean everyone: All media - neatly placed on their nicely demarcated A4 name-tagged blocks, got the time, access, soundbytes and video they required. The celebrities and Viacom and Showmax executives walking the carpet got their exposure and turn in front of the camera flashes and microphones. But how did this happen? How could this be? Beforehand Viacom Africa PR and Total Exposure specifically asked media who want to do red carpet coverage. They gave a list, emailed in advance, of walk-by talent, limited it to a choice of 2 or 3 talent max per media outlet, with 2 or 3 questions each, and allocated red carpet blocks besides the black velvet rope. On Thursday evening a publicist stood at the start of the red carpet and would silently hold up a laminated A4 page with the celebrity talent or executive's name and designation or job title printed on it. Media knew who would be coming down the red carpet next and who they were, instead of having to ask each other, ask for spelling or having to guess. Publicists dressed in black glided over the red carpet alongside, slightly ahead of talent taking them for posing photo-op to photo-op, from media block to media block, moving them beautifully along without any heavy-handedness, rudeness or arrogance. It was beautiful to behold. Media were not allowed to step onto the actual red carpet and where they transgressed, were told nicely not to and why and what was required. Media were however not kept away like lepers, at literally arms-length or further, and could comfortably move right up to their end of the black rope, with celebs who were gently guided and allowed to go right up to their side of the rope as well. It created an equal-equal illusion - exactly what is wanted, and exactly what is needed. Media who wanted to, could make as if they're standing right next to the celebrity; while a celebrity could make themselves appear accessible and being of the people. Win-win for everyone. Media didn't abuse the very intuitive, well-run, slightly softer and on-hand red carpet PR approach and Viacom Africa and Total Exposure didn't rush things but gently, comfortably and methodically moved things along. What a drastic difference to how the media and journalists are often treated as the Black Plague by uninformed, harsh and oblivious red carpet managing publicists who want coverage but don't make red carpet walkers available, barely pause and rush them through leaving anger, destruction and media mania in their wake. Ironically, it's also been Viacom Africa that has in the past been guilty of, and responsible for, some of the worst-run media red carpets in South Africa, treating the press like utter trash and with borderline contempt, literally "imprisoning" media behind chest-high fences, and behaving more as if they had to keep meat away from hungry hyenas than engaging in a professional give-and-take, win-win, bring-celebrity-get-media-coverage exercise. 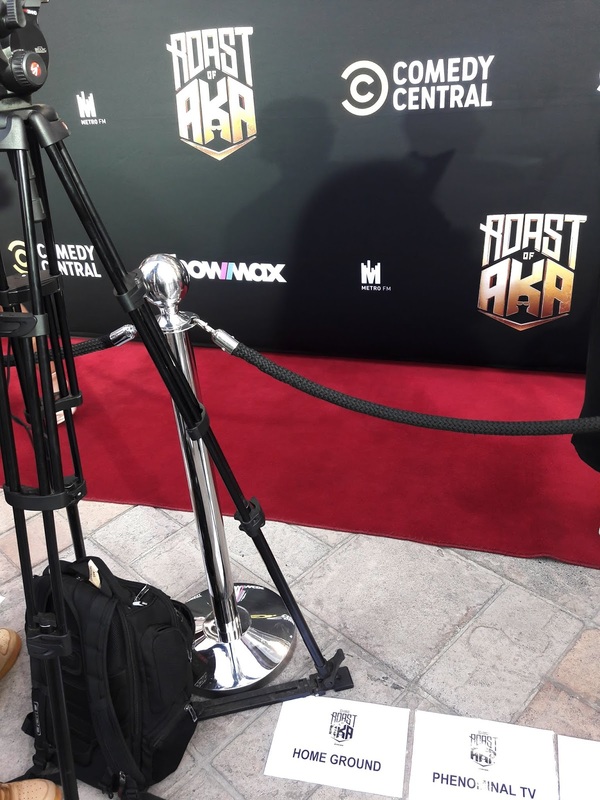 The Comedy Central Roast of AKA red carpet was so normal and so respectful - respectful to the media and the work they have to try and perform and do, but also respectful to the talent. It was safe and secure for the talent and with a human (and human touch) mechanism that worked. Publicists did what red carpet publicists need to do (and need to know how to do) without being overbearing and dogmatic about it. The media was able to do what they needed to get. Well done Viacom Africa. Well done Comedy Central. Well done South Africa's entertainment industry. 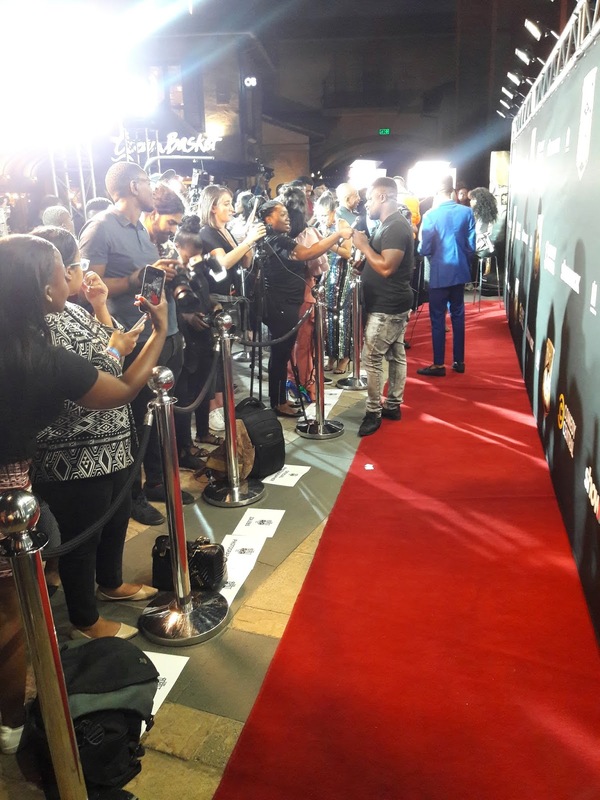 Saturday's Saftas red carpet at the National Film and Video Foundation's 13th South African Film and Television Awards will undoubtedly be again an utter disaster with weeping and gnashing of teeth. But slowly there's growth. There's progression. And measurable improvements in South Africa's long walk to the far end of the red carpet line. Summer Ale is here! Viacom Africa's new-look Comedy Central Africa makes a quiet backdrop-debut. Summer Ale is here! 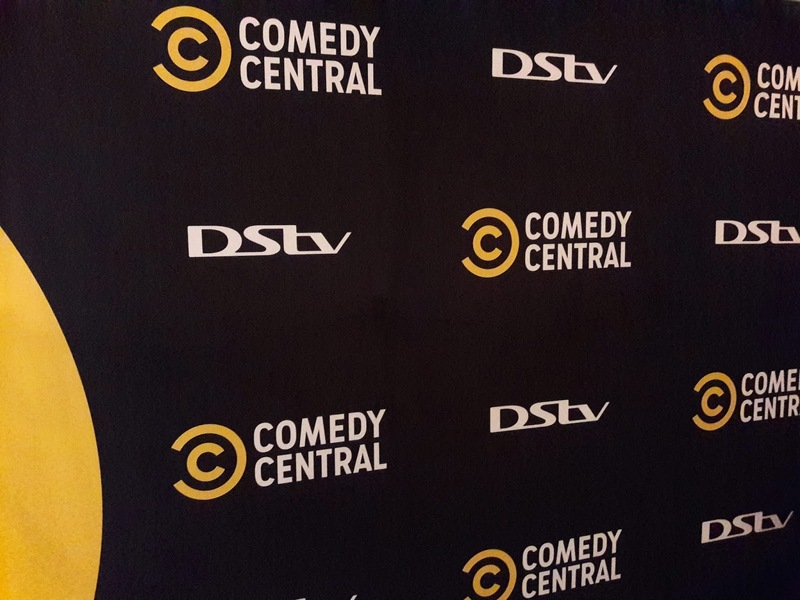 Viacom Africa's Comedy Central Africa (DStv 122) had a quiet backdrop-debut for the newly adjusted Comedy Central look when banners and a step-and-repeat adorned with Comedy Central's new branding appeared for the very first time in public in South Africa at last week's Thursday night red carpet and recording of the Comedy Central Roast of AKA. TVwithThinus immediately noticed the new Comedy Central branding that is being rolled out worldwide for the Viacom channel globally. Viacom International Media Networks Africa (VIMN Africa) hasn't yet made any official announcement as to when the new branding and on-air look will come into use for Comedy Central in South Africa and across Africa but it will likely happen when the channel switches from a standard definition to a high definition (HD) feed from 5 March in South Africa and across Southern Africa on MultiChoice's DStv satellite pay-TV platform. As TVwithThinus reported last month, the new look is Comedy Central's first rebranding in 8 years, done by the New York studio Loyalkaspar, together with Comedy Central's in-house design team. The refreshed Comedy Central look further refined the "C"-symbol that is now alongside a custom-made sans-serif typeface called "Comedy Sans", and also includes a new colour palette using a yellow named "Summer Ale". 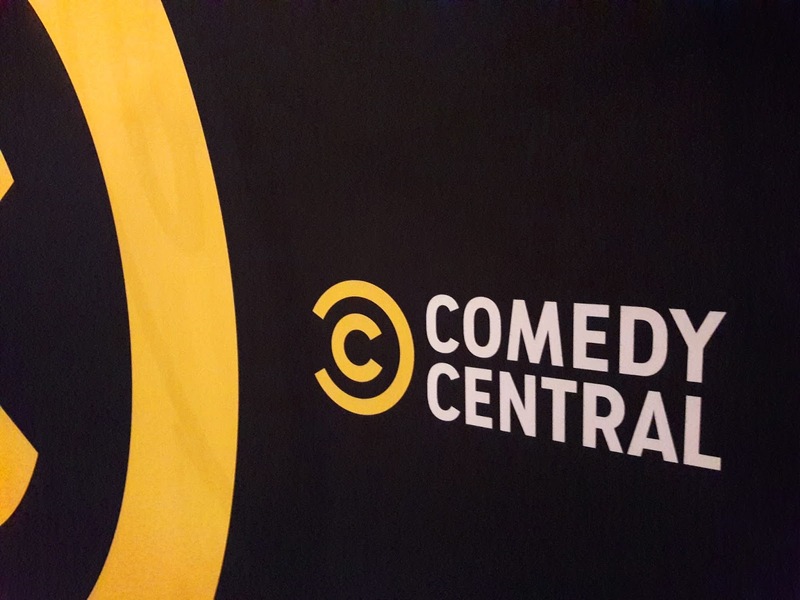 On Thursday evening the new look was printed and appeared on all Comedy Central branding, including the big step-and-repeat backdrop banner in front of which celebrities stand when walking the red carpet and doing media interviews and photos. 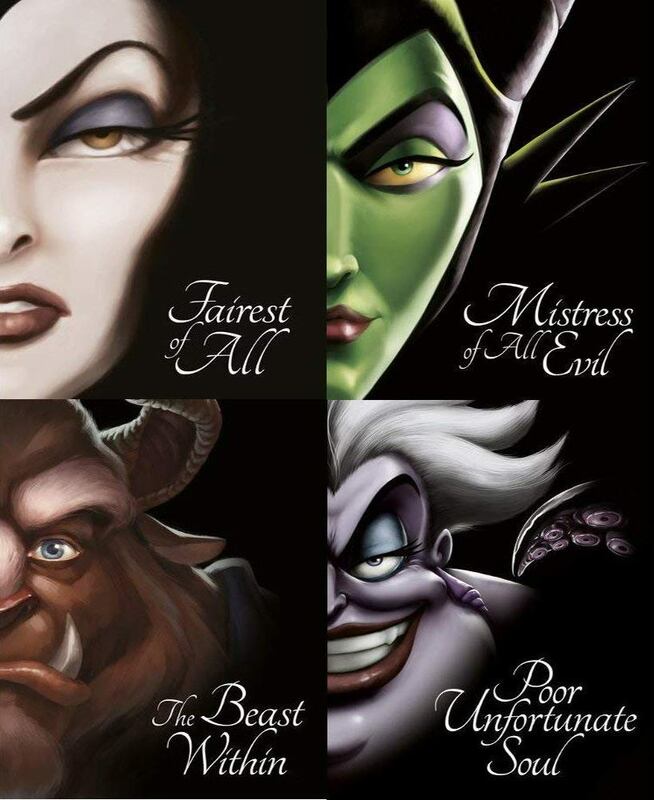 Disney working on a Disney villains series as a Book of Enchantment adaptation for its upcoming Disney+ video streaming service. The Walt Disney Company is working on a series revolving around Disney villains as a Book of Enchantment adaptation for its upcoming Disney+ video streaming service that is set to launch later this year. Deadline reported that Michael Seitzman, ABC Signature Studios and Maniac Productions are producing the series based on Serena Valentino's Book of Enchantment book series of which five books have been published so far. Like the Disney series Once Upon a Time that was on M-Net (DStv 101) and ended last year after 7 seasons the new Disney series will explore the origin tales of various iconic Disney villains ranging from the Beast in The Beauty and the Beast, Maleficent in Sleeping Beauty, the evil Queen in Snow White and Ursula the sea witch in The Little Mermaid. The Disney drama series will be similar to the youth film series Descendants of which the third film in the franchise will be on The Disney Channel (DStv 303) later this year. It's not yet clear whether Disney+ will launch globally, and if so include South Africa, or only be for the United States. 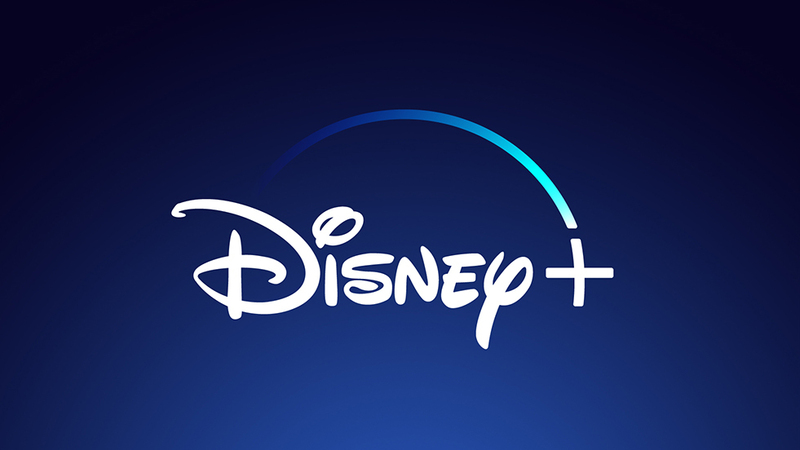 Depending on that - and if not - it's not known whether new made-for-Disney+ titles will become available and distributed internationally for other broadcasters if Disney+ remains a US-only service. Disney ordered shows for Disney+ including the in-production Star Wars live-action series The Mandalorian and an untitled Rogue One prequel with Diego Luna not yet in production, a High School Musical: The Musical: The Series reboot youth series, a High Fidelity series, the revival and continuation of Star Wars: The Clone Wars animation series, as well as a new original animation series based on Pixar's Monsters Inc.
Disney+ is also working on several series based on characters from the Marvel Cinematic Universe revolving around characters like Loki with Tom Hiddleston who reprise his role. Donna, Brandon, Steve, David, Kelly, Andrea. Original cast of Beverly Hills, 90210 are returning for a new straight-to-series show with a twist. Beverly Hills, 90210 is returning with the original cast for a 6-episode series with a twist - Donna, Brandon, Kelly, Steve, Andrea and David will all be back in the world's most famous and most posh post code as Tori Spelling, Jason Priestley, Jennie Garth, Ian Ziering, Gabrielle Carteris and Brian Austin Green will play versions of themselves trying to make a reboot of their show. The new 90210 reboot will be on FOX in America making it highly likely to broadcast in South Africa and across Africa on either M-Net (DStv 101) or on FOX Networks Group Africa's (FNG Africa) FOX (DStv 125 / StarSat 131 / Cell C black 201). Episodes will be broadcast in America this winter. FOX gave the new Beverly Hills, 90210 a straight-to-series commission almost three decades after the original series that ran for a decade was broadcast on the SABC's TV1 until the broadcaster couldn't afford it and it jumped to M-Net, with the shortened five-season 90210 with a new cast that also aired on M-Net a few years ago until its cancellation in 2013. Now the original Beverly Hills, 90210 stars will be back, all as executive producers, with the actors who will play "heightened versions" of themselves in the series that is a co-production between CBS Television Studios and Fox Entertainment. The cast announced the pick-up of the new series with social media messages linking to a video promoting 90210's return. Luke Perry, currently in Riverdale seen on M-Net who portrayed Dylan and notorious troublemaker Shannen Doherty who played Brenda are not currently part of the show but Tori Spelling recently said Luke Perry might make a guest appearance. "Beverly Hills, 90210 left an indelible impact on pop culture and an entire generation," says Michael Thorn, Fox Entertainment president, in a statement announcing the show's return. "Its powerful legacy is an important part of our network's DNA - bold stories not told anywhere else and bigger-than-life-characters - and we're honoured to bring back the beloved original cast members for 90210." The new Beverly Hills, 90210's official description reads: "Having gone their separate ways since the original series ended 19 years ago, Jason, Jennie, Ian, Gabrielle, Brian and Tori reunite when one of them suggests it's time to get a Beverly Hills, 90210 reboot up and running." "But getting it going may make for an even more delicious soap than the reboot itself. What will happen when first loves, old romances, friends and frenemies come back together, as this iconic cast - whom the whole world watched grow up together - attempts to continue from where they left off?" Mike Chessler and Chris Alberghini who worked on the 90210 reboot, are the executive producers and writers of the new Beverly Hills, 90210 that will also be shortened and just be known as 90210. Star Trek: Discovery available on Netflix South Africa renewed for a third season in 2020 by CBS in the United States. 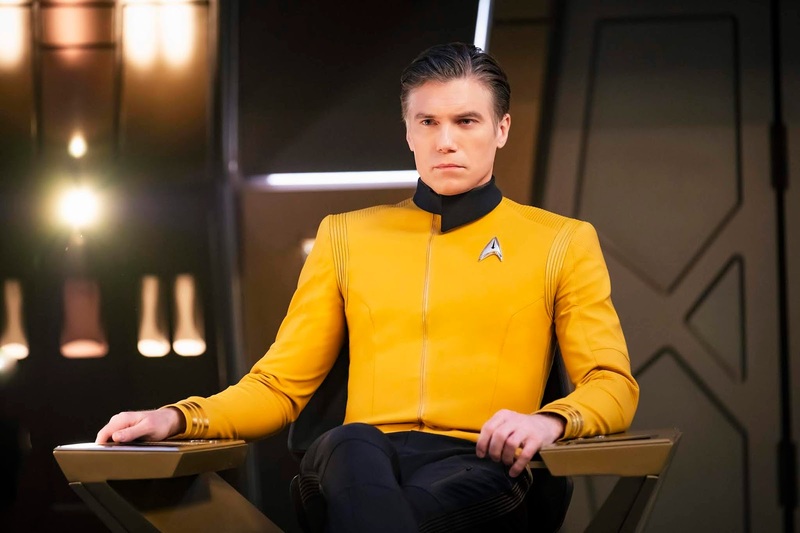 Star Trek: Discovery available on Netflix South Africa has been renewed for a third season, with Discovery writer Michelle Paradise who was added in the second season who is being promoted to co-showrunner for 2020's third season. As the third new showrunner on the struggling series, Michelle Paradise, as the third new showrunner, will work alongside Alex Kurtzman on Star Trek: Discovery. In the United States Star Trek: Discovery is available on the CBS All Access streaming service and is produced by CBS Television Studios and filmed in Canada at the Pinewood Toronto Studios in Toronto. Outside of the United States the Starfleet set series is available on Netflix. "The massive success of Star Trek: Discovery's second season launch exceeded our expectations in both driving subscriber growth and generating a phenomenal response from Star Trek fans," said Julie McNamara, executive vice president for CBS All Access originals, in a statement announcing the third season renewal. "With Alex Kurtzman and Michelle Paradise at the helm, we look forward to continuing Star Trek: Discovery's journey, growing the Star Trek franchise and bringing fans new Star Trek stories for many years to come." Alex Kurtzman says "Michelle joined us midway through season two and energized the room with her ferocious knowledge of Trek. Her grasp of character and story detail, her drive and her focus have already become essential in ensuring the Trek legacy, and her fresh perspective always keeps us looking forward." "I'm proud to say Michelle and I are officially running Star Trek: Discovery together." Beyond Star Trek: Discovery, CBS is also working on a spin-off revolving around the character of Michelle Yeoh working for the mysterious Section 31, an as-yet-untitled drama series with Patrick Stewart who will reprise his role as an older Captain Jean-Luc Picard set decades after The Next Generation, an animation comedy for adults entitled Lower Decks, an untitled Starfleet Academy series, and for Viacom's Nickelodeon channel an animation series. MultiChoice Group lists on the JSE as South African broadcasting regulator Icasa says it's 'concerned' that the listing went ahead while a MultiChoice complaint is being heard by the Compliance Committee. The MultiChoice on Wednesday morning listed on the JSE with a market capitalisation of around R44 billion, while South Africa's broadcasting regulator, Icasa, hours later issued a statement saying it's concerned about Naspers and MultiChoice doing the listing when there's a pending complaint before its compliance committee. "Today is a proud day for Naspers. Listing MultiChoice Group through an unbundling unlocks value for Naspers shareholders by creating the opportunity for them to own a direct stake in MultiChoice Group, a top-40 JSE-listed African entertainment group," says Bob van Dijk, Naspers CEO, in a statement. The MultiChoice Group comprises MultiChoice South Africa Holdings, MultiChoice Africa Holdings, MultiChoice Botswana, MultiChoice Namibia, NMS Insurance Services SA, the African division of Showmax, Irdeto Holdings and Irdeto South Africa. "We are also very pleased to be able to create further value for Phuthuma Nathi shareholders, who, through MultiChoice South Africa, have already participated in one of South Africa’s most successful empowerment schemes." Calvo Mawela, MultiChoice Group CEO, in the statement says "Today’s listing is an important milestone in our exciting journey of growth". "As one of the fastest growing pay-TV broadcast providers globally, our strong financial position at listing is backed by attractive long-term growth opportunities in both subscriber numbers and revenue. The MultiChoice Group has a highly cash generative core with no financial debt, and we are poised to deliver value to our shareholders over time." "We are overwhelmingly positive about MultiChoice Group's future. With the largest pay-TV footprint across Africa, we understand our customers and tailor our offering and services to suit market-specific video entertainment needs." "This, coupled with a leading content offering, world-class technology and infrastructure, pan-African scale and strong in-country capabilities, positions us well to generate shareholder returns and future growth," said Calvo Mawela. Meanwhile the Independent Communications Authority of South Africa (Icasa), in a statement issued just after 11:0 after MultiChoice Group already listed, Icasa said it "is noting with concern that the listing of the MultiChoice Group seems to be going ahead when there is a complaint against it before the Complaints and Compliance Committee". "On 23 January 2019, Khulisa Social Group NPC (Khulisa) lodged a complaint with the CCC against MultiChoice in respect of the listing," says Icasa. "In its complaint, Khulisa stated that the upcoming listing of the Multichoice Group on the JSE will result in a contravention of Section 13(1) of the Electronic Communications Act 0f 2005 (ECA), as amended." "Section 13(1) of the ECA states that 'an individual licence may not be let, sub-let, assigned, ceded or in any way transferred, and the control of the individual licence may not be assigned, ceded or in any way transferred to any other person without the prior written permission of the Authority." 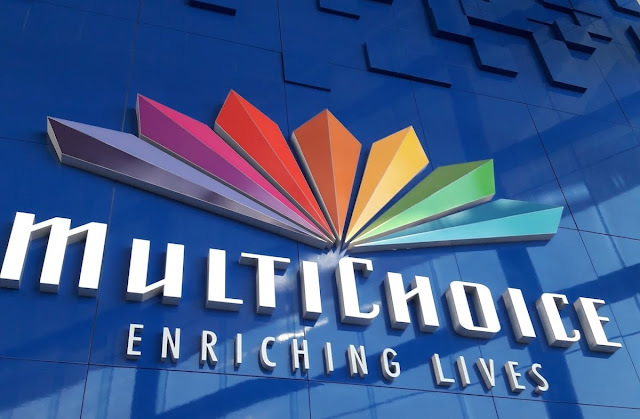 "MultiChoice appeared before the CCC on Monday, 18 February 2019 where the licensee argued that the matter was not urgent and that the listing had not taken place. MultiChoice further argued before the Committee that, in any case, there was no past contravention by the licensee and that the CCC had no jurisdiction over future events." "Icasa is indeed concerned that the listing seems to be going ahead whilst the CCC is still considering representations that were made and yet to make its final recommendations on the matter to Council of the Authority,” said Icasa. 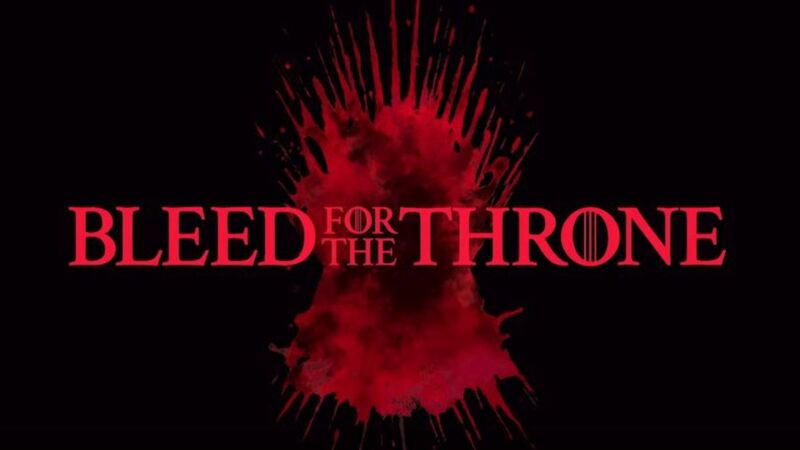 M-Net joins in HBO's Game of Thrones 'Bleed for the Throne' blood donation campaign in March, asking fans to donate blood. Similar to America, M-Net (DStv 101) is doing a "Bleed for the Throne" for the final season of the HBO fantasy drama series, Game of Thrones, with viewers who are asked to donate blood in Johannesburg and Cape Town during March. The 8th and final season of Game of Thrones will start on 15 April on M-Net and Showmax as an Express from the US title, with M-Net inviting people to donate blood, similar to the United States where HBO teamed up with the American Red Cross. In South Africa, Game of Thrones fans will be able to donate blood in Cape Town on Saturday, 16 March from 09:00 to 14:45 at the permanent donor centre at the N1 City mall, and on 23 March at The Zone @ Rosebank mall. HBO says in a statement it wants fans of Game of Thrones to donate blood in a gesture "worthy of one of the biggest shows in television, and one designed to harness the cultural power of Westeros to help end blood shortages in the real world". "Bleed for the Throne" will run for 6 days in America between 7 and 12 March. "We are incredibly excited to mobilise the global army of Game of Thrones fans to make a positive impact on the world," says Zach Enterlin, the executive vice president for programme marketing at HBO," in a statement. "We're creating a unique platform to engage our tremendously passionate fanbase, and ultimate showcase the bravery and valour of those fans who will go so far as to bleed for the throne." Besides South Africa, the Game of Thrones blood donation campaign will also run in Kenya, Ghana and Botswana in Africa. Debut episode of M-Net's The Bachelor South Africa on YouTube reaches an astounding quarter of a million views; will it mean a change for how the pay-TV broadcaster roll out local shows in future? On Tuesday night the first episode of The Bachelor South Africa broadcast on M-Net (DStv 101) crossed the breathtaking milestone of a quarter of a million views on YouTube, a first for a show produced for a pay-TV audience in South Africa, after MultiChoice and M-Net decided to make the entire first episode available freely online. At 251 000 views and continuing to climb, The Bachelor SA has now been seen by more people than the average YouTube audience viewing an episode of Uzalo on YouTube at roughly 220 000 views as SABC1 and South Africa's most watched show on linear broadcast in the country, and the e.tv soap Scandal! 's roughly 210 000 views on YouTube, which is the free-to-air commercial broadcaster's most watched TV show. The YouTube achievement of The Bachelor SA with bachelor Lee Thompson - produced by Rapid Blue according to the dating show format of Warner Bros. International Television Production (WBITVP) - means an unheard of marketing and sampling success for MultiChoice and M-Net as the YouTube number counter continues to explode upwards as people click to view the long-form, premium-produced content. M-Net has been asked several questions, multiple times in a media enquiry over the past two weeks for its perspective about the strategy of placing the first episode of The Bachelor SA on YouTube, what it means for the channel, how M-Net feels about the successful experiment and what it might mean for the debut of future locally-produced shows like the upcoming Survivor SA: Island of Secrets, Finding the One and others, but M-Net didn't respond with answers. The surprising move to place The Bachelor SA's first episode on YouTube - with the huge number of people who sampled it - could very well lead to a possible permanent strategy shift inside M-Net in the roll-out of local shows going forward. M-Net placing the debut episodes of local shows online, could help drive possible DStv Premium uptake and aid in show sampling and raising show title awareness under consumers. If even less than 0.5% of people who viewed The Bachelor SA on YouTube decide to subscribe to DStv Premium to see the rest of the season's episodes it would be a huge MultiChoice plus for the company struggling to retain top-tier subscribers that have declined the past three years with ongoing churn rates. "You guys are smart for putting the first episode on YouTube," remarked Siba Jack-Pamal in the YouTube comments under the first episode of The Bachelor SA, with Z.Mute saying: "I'm even ready to subscribe". South Africa's parliament and politicians abruptly scuppers the urgent shortlisting of names for empty seats on the SABC board; now suddenly wants to do 'exit interviews' with former members ... who quit months ago. In a shocking (not shocking) display of ineptitude regarding the struggling SABC as well as apparently sheer parliamentary incompetence, the South African government on Tuesday abruptly halted the shortlisting of the 24 candidates it still said on Monday it would shortlist on Tuesday to interview for the vacant seats on the SABC, with politicians that now first want to do exit interviews with the former SABC board members who had resigned ... months ago. How badly South African politicians and parliament's portfolio committee on communications, entrusted with doing so-called "oversight" of the South African Broadcasting Corporation work (don't work) was once again laid bare on Tuesday in a jaw-dropping display of politician incompetence you won't find in any professional corporate environment. On Monday, parliament's portfolio committee on communications - supposed to look after the crumbling and commercially insolvent SABC - said it would shortlist on Tuesday the 24 candidates who will be interviewed for SABC board vacancies after Mathatha Tsedu, Krish Naidoo, Khanyisile Kweyama and John Mattison quit months ago in December 2018. 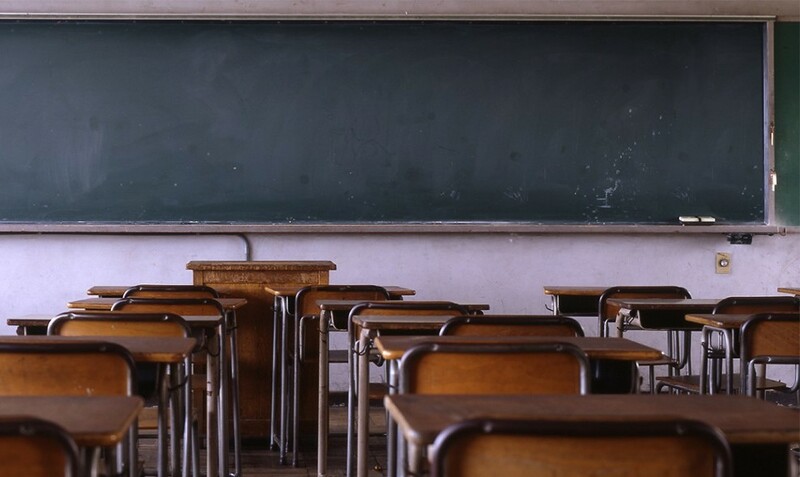 On Monday parliament said the shortlisted 24 candidates would be interviewed from 5 to 7 March with the names of the 8 best candidates recommended to the Nasional Assembly and president Cyril Ramaphosa before parliament shutters for the national election in 3 weeks' time. Cue Tuesday - and trash. Parliament's portfolio committee on communications in a statement suddenly said it "has resolved to put on hold the shortlisting of 24 candidates who were going to be interviewed to fill the 8 vacancies at the board of the SABC". "Given the history of challenges at the SABC board, the committee decided to conduct exit interviews with those who resigned from the current board." "The remaining 4 non-executive members in the current SABC board will be invited to provide progress reports on investigations into SABC board member Dinkwanyane Mohuba's qualifications (also known as Kgalema Mohuba), the turnaround strategy, labour relations issues and progress with implementing the recommendations of the ad hoc committee. The exit interviews will be conducted on 5 March 2019." Hlengiwe Mkhize, chairperson of the committee, didn't say why parliament now suddenly wants to do exit interviews with long-departed SABC board members who had left months ago. Exit interviews are done immediately before people leave employment or immediately after - not months later. Hlengiwe Mkhize didn't say why, if exit interviews are to take place, why this can't happen in parallel with the process of shortlisting, interviewing and appointing new SABC board members which are urgently needed to stabilise the SABC. 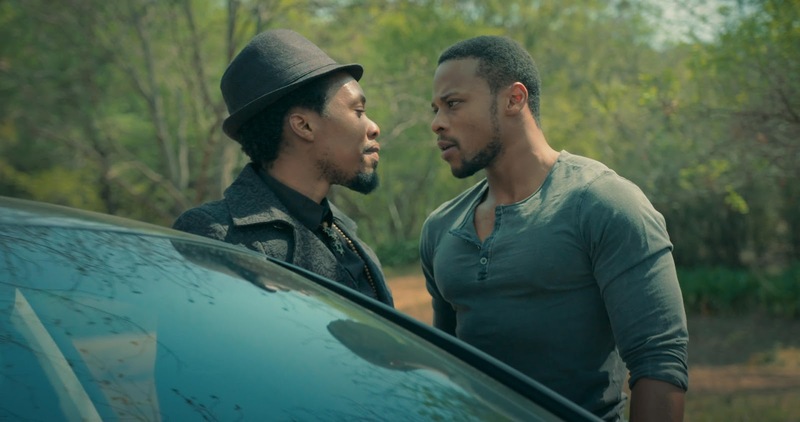 How bad is Shadow as Netflix's first South African series? Apparently very, as Netflix SA cancels a planned media event and isn't giving screeners to critics, saying the Motion Story Productions drama already got enough coverage. The first local South African series on Netflix - Shadow - looks like it could be bad, with the global video service that's cancelled a planned media event in its country of creation for local press, with screeners not being made available to TV critics to preview the show, and Netflix's South African public relations company saying that the Motion Story Productions drama series already got enough coverage and exposure in terms of pre-determined "targets". Eclipse PR, the PR company in South Africa that Netflix currently uses, on Tuesday countered bubbling South African TV industry buzz that Shadow with Pallance Dladla and Amanda Du Pont - set for release on 8 March on Netflix - is bad, as questions are rumbling inside the media and biz about a perceived lack of press exposure and a lack of media buy-in for Shadow. The company, when asked questions about Shadow, says there has been a media event for certain media, and that there will be a physical screening of some of the Shadow series but that it will happen on 7 March, only in Johannesburg, only for some other media, set for a day before the show becomes available on Netflix. Media insiders are wondering why Netflix held off from making announcements about the acquisition of Shadow as an African series and why Netflix failed to do a staggered publicity roll-out, from much earlier around the Gareth Crocker directed drama series in the way Netflix does for other countries' series and acquired content. Netflix's lack of letting media who want and need to see Shadow see the show before its debut in order to write reviews and do other reporting - as well as its scuppered plans for a planned press day - has led to several raised eyebrows about the quality of the upcoming 8-episode series, as well as questions around why Netflix South Africa hasn't and isn't doing more to let the public know about Shadow. Some people who have seen some of Shadow, the first locally-acquired South African TV drama series on Netflix - coming to its subscribers under the auspices of Kelly Luegenbiehl, vice president for international originals for Europe, Turkey and Africa at Netflix - described it as terrible and as not good. Full disclosure, on 14 January 2019 TVwithThinus was one of the media contacted about a media junket planned for Shadow. On 18 February when asked if there's a date yet for the press event and if there are preview episodes of Shadow for review purposes, Eclipse PR said that it looks as though it's cancelling the press event and that screeners won't be given prior to release. Another week later, on 26 February when reaching out again and asking Netflix if the media event is definitely now cancelled, Eclipse PR confirmed that the Shadow media event won't be going ahead. In Hollywood parlance, not making a screener or screeners available beforehand to press happens for one of two reasons. Firstly, the studio, distributor, network or channel don't need to because press, public and consumer interest and engagement is already high, built-in or guaranteed - for instance Disney and Lucasfilm's Star Wars or HBO's Game of Thrones on M-Net (DStv 101) - or there's some internal recognition that it's bad and limiting media from seeing it, is an attempt to limit inevitable bad reviews that will just inflict further damage. Of course not making content available to media to preview when asked, has, the past few years, led the wider press and critics to automatically now assume that when it happens, it's indicative of how bad something is. When DVD or digital screeners of shows are not given to the press it's now assumed that it's not done because the content is rubbish, it's produced too close to the broadcasting date, is a live broadcast, or contains a twist or spoiler that producers want to keep secret. Eclipse PR on Tuesday said that it already "hosted a Shadow press junket for long lead outlets" and gave screeners to these media. Eclipse PR said that for Shadow on Netflix it had "originally anticipated hosting a second junket for online platforms, but have since reviewed this approach because we had already reached online targets through our date announcement". A media screening is being organised for 7 March, said Eclipse PR. 7 March will, of course, be the day before Shadow becomes available on Netflix, giving media, including online media, very little time to put together reviews. Earlier this year MultiChoice's video streaming service, Showmax, for its first locally-commissioned drama series, The Girl from St. Agnes produced by Quizzical Pictures, held its media screening for the press on 25 January, a week before its official release on 31 January. In January M-Net (DStv 101) showed press the first episode of The Voice South Africa a week and a half before its debut on 3 February. On Tuesday evening FOX Networks Group Africa (FNG Africa) previewed it's Bafta and Oscar-winning film, Free Solo to the press a week before it will make its debut on National Geographic (DStv 181 / StarSat 220 / Cell C black 262) on 4 March. On Thursday evening BBC Studios Africa will screen the new 5th season of Come Dine with Me South Africa produced by Rapid Blue to the media, a week and a half before making its debut on BBC Brit (DStv 120) on 11 March. Showmax also asked the media, and is giving TV critics a digital screener of its upcoming new and local stand-up comedy series, Trippin with Skhumba, before it becomes available from 28 February. VH1 Classic on DStv swapped for MTV Music 24; Viacom Africa's kids channel Nickelodeon upgraded to HD from 5 March. Viacom Africa and MultiChoice are removing the outdated VH1 Classic channel and replacing it with a third MTV channel on its DStv satellite pay-TV platform, MTV Music 24 (DStv 323), with the standard definition channel that will continue to play just music videos from 5 March. Meanwhile Viacom International Media Networks Africa's (VIMN Africa) kids channel Nickelodeon (DStv 305) will be upgraded to high definition (HD) in South Africa, and MTV Base (DStv 322) will be made available to DStv Access subscribers from the same date. VH1 is getting swapped out for MTV Music 24, and will play music videos from all genres, including pop, dance, rock and urban. "As we celebrate the 14th year of establishing VIMN’s local presence on the continent, we continue to value our strong partnership with MultiChoice to deliver great entertainment experiences to subscribers across Africa," says Alex Okosi, VIMN Africa executive vice president and managing director. "The expansion of MTV Base's reach to DStv Access, the arrival of MTV Music 24 and the upgrade of some of our channels to HD are part of our commitment to provide dynamic channels that speak to diverse audiences". VIMN Africa says the move to HD forms an important part of VIMN Africa's distribution strategy with MultiChoice with the network launching 4 channels across the Southern Africa (SADC) region - BET, Comedy Central, MTV and MTV Base - to high definition next month. Nickelodeon will be upgraded to HD in South Africa from 5 March. Aletta Alberts, MultiChoice executive head for content strategy, says "DStv is always thrilled with the innovative customer solutions that come out of the Viacom stable. We are inspired by their focus on producing local content and putting local talent in the limelight through well-established international brands". "Our DStv Access customers will thoroughly enjoy the programming on MTV Base, which really speaks to this audience and the addition of MTV Music 24 is a current and relevant evolution that will delight viewers." Netflix commissions South African high school set drama, Blood & Water from Gambit Films, as its second local series. Netflix has commissioned another local South African drama series - it's second - with Blood & Water, a high school drama following a girl who discovers her family's secret past, that will start production later this year and be released globally in 2020. Blood & Water, produced by Gambit Films, follows after Netflix's first locally-acquired drama series, Shadow from Motion Story Pictures, and its first South African commissioned series, Queen Sono, a spy drama series with Pearl Thusi produced by Diprente. Nosipho Dumisa will be Blood & Water director, featuring an as yet unannounced up and coming cast. The South African high school drama series will revolve around a girl who uncovers her family's secret past whilst dealing with high school life and challenges. Blood & Water is written and co-directed by Daryne Joshua and Travis Taute, with Nosipho, Bradley Joshua and Benjamin Overmeyer as producers and Simon Beesley as lead editor. "We are delighted to be investing further in African content and to partner with Nosipho and the team at Gambit Films to bring our second original series from South Africa to Netflix," says Kelly Luegenbiehl, vice president of international originals at Netflix for the Europe, Turkey and Africa territory. "Great stories are universal, so we expect this gripping teen drama, with its view on contemporary high school life, to appeal to young adults from South Africa, as well as the rest of the world." "Following on the heels of Queen Sono, Blood & Water is the next step in our further investment in original African content and we're excited to explore more projects across the region." "Gambit Films and I are so excited to be working with Netflix on this explosive young adult drama, with not only a cool look at strong female leads but also a powerful mystery at its core," says Nosipho Dumisa. "As a director who loves genre this series combines the best of so many and isn't shy to delve into the real issues of youth culture, whilst jam-packing it with twists that will keep viewers guessing." Turner International's SuperheroHQ pop-up channel will run from 15 March on DStv across Africa with animation superhero series and films. Turner International has announced more information about its Superhero HQ pop-up channel that it revealed in November 2018 is coming in 2019 at its first Turner Africa programming upfront, with SuperheroHQ that will run from 15 to 31 March on MultiChoice's DStv satellite pay-TV platform. SuperheroHQ will be accessible for DStv Premium, DStv Compact Plus and DStv Compact subscribers on DStv channel 300 during the holiday period with the schedule that will include animation series, animation movies, as well as live-action superhero-themed movies. Burson Cohn & Wolfe, in a press release on behalf of Turner Africa, says SuperheroHQ will run from 15 March to 31 March, but then also that the channel will run from 15 March to 21 March. the latest information, visit [insert website here – where fans can access the channel schedule]," says Burson Chon & Wolfe in its press release. During the day SuperheroHQ will show animation series like Batman, Superman, Justice League, Green Lantern and Teen Titans. During the evening Superhero HQ will show films like the four Superman films, and 3 Spy Kids movies. SuperheroHQ also curated animation films including The Lego Batman Movie, Batman Gotham Knight, and Justice League: Throne of Atlantis. In-between Turner in South Africa is doing localised thematic fillers with the South African comedian Mojak Lehoko that will run between programmes in the form of superhero-themed stand-up comedy videos. as moments to laugh out loud," says Mojak Lehoko in the press release. Series on SuperheroHQ will include Batman the Brave and the Bold; Batman the Animated Series; Superman the Animated Series; Green Lantern; Justice League Action; Young Justice League; Justice League Unlimited and Teen Titans. Films on SuperheroHQ will include Batman Gotham Knight; Batman Beyond: Return of the Joker; Batman vs Robin; Justice League: Doom; Superman/Batman: Public Enemies; Superman/Batman: Apocalypse; Green Lantern: First Flight; Lego Batman: The Movie - DC Super Heroes Unite; Lego DC Comics Super Heroes: Justice League: Attack of the Legion of Doom! ; Lego DC Comics: Batman Be-Leaguered (22' Special); Son of Batman; Superman: Unbound; Justice League: Throne of Atlantis; Lego DC Comics SuperHeroes: Justice League vs. Bizarro League and Teen Titans: Trouble Tokyo. So-called "blockbuster" movies on the SuperheroHQ channel will include Superman the Movie; Superman II; Superman III; Superman 4: The Quest for Peace; Superman Returns; Spy Kids; Spy Kids 2: The Island of Lost Dreams and Spy Kids 3-D: Game Over. No scheduled dates or times for when which of these specific titles will be seen on the SuperheroHQ channel have been released to the media but Turner International says a movie will run every weekday at 20:05. Saturdays on SuperheroHQ will be dedicated to Batman, starting at 07:25 with an animated Batman film, followed at some time by animated Batman and Superman series. On Saturday afternoons at 17:30 there will be a marathon of Batman episodes on SuperheroHQ with Saturdays that will end with a double film feature starting at an unspecified time. Sundays will be dedicated to Superman with an animation movie starting at 07:25, followed at some time with a marathon of animation series including Batman the Animated Series and Superman the Animated Series. At 17:30 on Sundays there will be another marathon of Superman episodes, with Sundays that will end with a double film feature starting at an unspecified time. Nigerian version of Our Perfect Wedding is the latest and 4th localised edition of MultiChoice Africa and M-Net's Sunday evening hit reality show format. 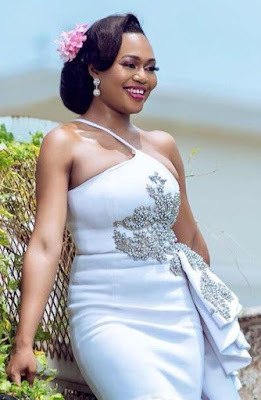 Nigeria is becoming the latest country to get a localised edition of Our Perfect Wedding, the 4th version of the hit reality format show from MultiChoice Africa and M-Net, with a former Big Brother Naija 2018 contestant, Vanessa Emikhe-Williams, who will be the presenter of Our Perfect Wedding Nigeria. Our Perfect Wedding Nigeria is co-produced by Adeola Oloyede and has Suleiman Kazeem as the executive producer. It follows the format of the original Our Perfect Wedding that started in 2011 and is ongoing in South Africa on M-Net's Mzansi Magic. Other localised African versions have started and have been seen in countries like Kenya on M-Net's Maisha Magic East where Georgina Mbira is the presenter of Our Perfect Wedding Kenya,and Our Perfect Wedding Zambia on M-Net's Zambezi Magic. Zambezi Magic is currently looking for a presenter for the 5th localised edition of the show in Africa, Our Perfect Wedding Zimbabwe, that will start later in 2019. 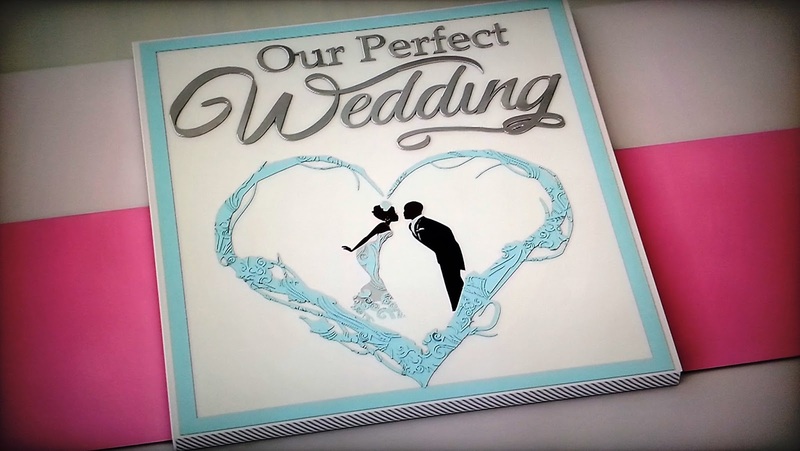 Our Perfect Wedding in South Africa is produced by Connect TV owned by Basetsana Kumalo, where the show has been a huge success and ratings grabber. In Our Perfect Wedding Nigeria, Vanessa Emikhe-Williams, known as Vandora, follows Nigerian couples through their love story and wedding planning process. The Nigerian version is broadcast on the Africa Magic Showcase (DStv 151) channel (not available in South Africa) on MultiChoice's DStv satellite pay-TV platform from Sunday 24 February and is interestingly also slotted for Sunday evenings at 18:00 where Our Perfect Wedding started out and has grown to be a huge viewership hit. The show reveals the thrills and frills of the planning process, and also brings forth all the spectacle and drama that comes with getting the perfect dress, the perfect venue, and perfect cake; together with dramatic in-laws, fighting family members and the traditional and white wedding ceremonies and festivities afterwards. "The show has been successful in other African markets like South Africa and Kenya and we're elated to bring it to Nigeria," says Martin Mabutho, MultiChoice Nigeria chief customer officer in a statement. "Viewers will experience the magic and celebration of love. Of all the awesome wedding shows we've had on DStv, this without a doubt holds a lot of drama, fun and excitement for the viewers. We're delighted to bring this truly interesting show to Nigeria, I think that viewers will enjoy every minute of Our Perfect Wedding". Vanessa Emikhe-Williams says "this is an exciting opportunity for me, and viewers can expect to be completely entertained by this show and they should expect nothing less than the best from the leading home of entertainment in Africa". 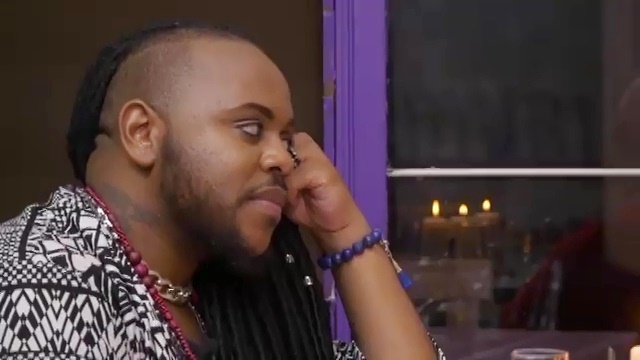 'Gay' reality show Lusaka Hustle back on MultiChoice Zambia and M-Net's Zambezi Magic channel on DStv after shocking censorship. The "gay" reality show, Lusaka Hustle, following three Zambian socialites are back on MultiChoice Zambia and M-Net's Zambezi Magic (DStv 160) channel on DStv in Southern Africa after Zambia's censorship-prone broadcasting regulator, the Independent Broadcasting Authority (IBA) lifted its idiotic and irrational ban and the suspension of the show. Zambia's IBA didn't respond to emailed media enquiries about the controversial decision to order a ban on Lusaka Hustle, ordering its removal from the DStv airwaves in Zambia and multiple countries across Southern Africa. Zambia's Independent Broadcasting Authority (IBA) refused to admit it was wrong in banning and censoring Lusaka Hustle, only for the wayward regulator to then lift the ban this week without any changes or sanction. The IBA has been silent on exactly why it banned Lusaka Hustle in the first place and what censorship laws the Zambian programme broke. Interestingly, in a shocking dereliction of duty but not uncommon for a country with an underdeveloped TV and broadcasting industry and problems with freedom of speech, Zambia's incompetent IBA also ordered the ban before and without ever even watching Lusaka Hustle - simply censoring local TV content without actually seeing it, screening it, or providing specific reasons for where and how the show crossed Zambia's censors. M-Net and MultiChoice showed a new episode of Lusaka Hustle on Thursday night, 21 February on Zambezi Magic. Lusaka Hustle that started on 24 January, initially got in the crosshairs Godfridah Sumaili, Zambia's minister for religious affairs and national guidance, who complained that Lusaka Hustle features a character with "gay tendencies" and wearing a dress - a complaint that went viral on social media. 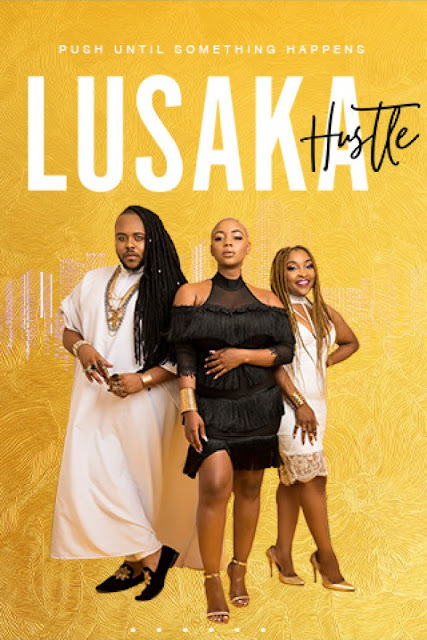 Social media amplified the outrage about the programme that follows three local, flamboyant Zambian celebrities and their drama-filled daily lives - Thandi Vundamina, Cleo Ice Queen and the singer Kuni (Mukuni Godfrey Mulundika), with Kuni who appears in Lusaka Hustle's promotional poster art in a flowing white robe. Some viewers were disturbed that Kuni wore a dress in a recent episode while doing a spa day in Lusaka. It is the second censorship of content on Zambezi Magic since the debut of the M-Net packaged and produced channel that is meant as a Southern African version of South Africa's successful Mzansi Magic channel. Lusaka Hustle was yanked off the air, unwillingly, by MultiChoice Zambia and M-Net's Zambezi Magic channel to comply with the head-scratching order from Zambia's Independent Broadcasting Authority (IBA), that ordered Lusaka Hustle off the air, over allegedly showing and promoting "gay tendencies". MultiChoice Africa and M-Net said that it was proud of Lusaka Hustle and was "still unclear about which aspects of the show contravene Zambian law". Zambia's information ministry that apparently has direct censorship power of what Zambian citizens can and can't see, then also weighed in and also ordered MultiChoice Zambia and M-Net to edit the Lusaka Hustle before it would be allowed back on Zambezi Magic. Chanda Kasolo, Zambia's information and broadcasting services secretary in an interview on QTV News, reportedly said that MultiChoice and M-Net must censor episodes of Lusaka Hustle and must censor the alleged gayness away. Chanda Kasolo said that this is the medium-term solution that Zambia's homophobic government has agreed upon with MultiChoice Zambia. Chanda Kasolo in the interview that Zambia's government in the long-term will decide what restrictions exiting laws impose in terms of censorship of TV programming in Zambia, and that the promotion and practice of homosexuality through television programming is illegal in Zambia. MultiChoice Zambia and M-Net were asked whether it agreed to edit, make changes and censor episodes of Lusaka Hustle as has been reportedly demanded by the Zambian government but MultiChoice Zambia didn't answer the specific question put to it by TVwithThinus in a media enquiry. MultiChoice Zambia in a statement to TVwithThinus only says "MultiChoice Zambia is thankful to the IBA board for convening a multi-stakeholder forum to assess concerns about the Lusaka Hustle show." "We are pleased to confirm the immediate lifting of the suspension and the board’s confirmation that upcoming episodes contain no controversial elements that violate any Zambian law. MultiChoice Zambia has engaged Zambezi Magic to resume the scheduling of the show on Thursday, 21 February 2019." M-Net's Zambezi Magic in a statement says "Zambezi Magic is delighted to advise fans of Lusaka Hustle that their favourite reality show will resume on DStv on Thursday, 21 February 2019. Zambezi Magic, together with the cast and crew, wish to thank the viewers for their patience and understanding during this process." In November 2017 the show Talk with Kwangu was censored and pulled off the air on Zambezi Magic, following Zambian government interference and pressure. Zambezi Magic is aimed at helping producers in Namibia, Zimbabwe, Botswana, Zambia, Malawi and Eswatini to get their original content from their countries on the air for local DStv audiences to enjoy. Zambia's latest TV censorship is not just raising questions around the clampdown of freedom of speech and freedom of expression in the country, but is also worrying Zambian TV and film producers who don't feel that their local work is valued in their own country, with more and more producers looking across borders and outside of Zambia to pitch their projects. The biggest concern around the ban that was emposed on Lusaka Hustle, however, revolves around how draconian censorship of TV content in just one African country will once again that the censored show will become unavailable to millions of viewers and DStv subscribers in multiple other countries. Similar to a growing and ongoing trend of recent TV censorship in Nigeria and Kenya ranging from lifestyle and reality shows to even kids animation programming on the Disney Channel and Viacom Africa's Nickelodeon, shows on channels on MultiChoice's DStv satellite pay-TV platform ordered blocked there by local regulators in one country, means that when these shows are removed, they are censored for everyone. MultiChoice carries only one channel feed for Africa - in some cases two - from a channel distributor, meaning that content on a channel - for instance E! Entertainment (DStv 124) or Disney Channel (DStv 303) - ordered to be censored and dumped in for instance Kenya, makes it unavailable in South Africa and a range of other African countries outside of where the censorship takes place.